​Great location just off Junction 3 of the M90 on the Fife Leisure park. There is a cinema and bowling alley within a short walk. Local attractions include Dunfermline Abbey and Palace, Aberdour Castle and Gardens and Knockhill Racing Circuit. Dunfermline Queen Margaret Rail Station is just over a mile and a half away and Edinburgh Airport is less than 15 miles from the hotel. 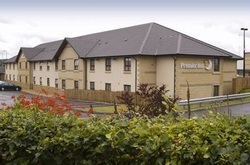 Dunfermline Premier Inn offers free on-site parking and a Brewers Fayre restaurant. Book direct for the best Premier Inn Dunfermline deals.